What can you do to make a difference in tomorrow’s election results? A LOT!! MAKE SURE YOU VOTE – Polls are open from 6:00am – 8:00pm. MAKE SURE EVERY VOTER IN YOUR HOME VOTES – Make it an outing. Treat them to coffee. Ride together. MAKE SURE YOUR NEIGHBORS VOTE – Don’t be shy. Remind your neighbors to vote while you’re at the bus stop, walking the dog, taking out the trash or raking the yard. 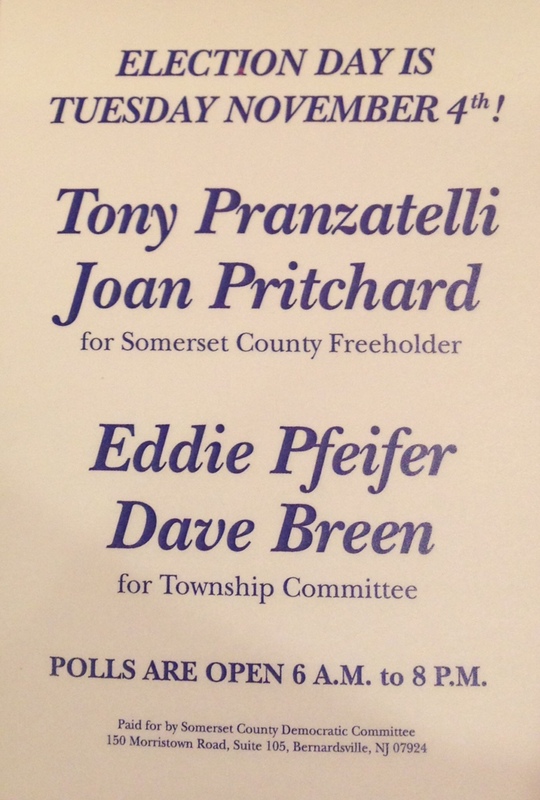 Green Brook Township elections have been decided in the past by less than 25 votes. Each vote makes a difference. If you don’t remember where you need to go to vote, find your polling location.